Långasjö Hostel was founded in 1968 in the former church stables which date all the way back to the mid 1800s. The outside of the bulding still looks like it did hundreds of years ago. Villgers used to put their horses in those stables while they went to the church. The rooms got to keep the names of the old villages, that used to show where the horses should stand. The hostel is open all year long. From june to August the reception is open every day between 9-10 am and 4-7 pm. (call if you want access to a room at another time). Checkout latest 10 am (book "late checkout" to stay until 12, 100kr/room). During the period from 1st semptember and 31st may we are only open to pre-booking, check-in takes place between 5-6 pm or at an arranged time. During the high season we serve breakfast-buffet in Café Stallet, with many ecologically and locally produced products. If you are coming as a group, please do not hesitate to order breakfast any time of the year. You can always order an evening meal which is served upon arrival at the hostel. I, Eva Garami, am the hostel's host since 2006. My husband Andreas and the rest of the family helps. Phone calls are received from 9 am til 8 pm every day. 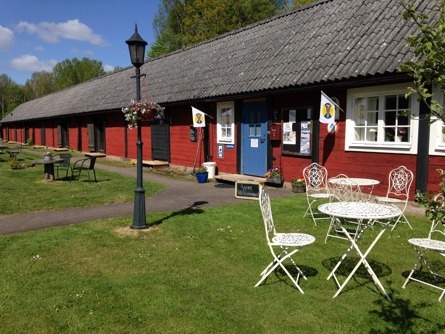 Långasjö Vandrarhem is a member of Hostelling International HI, and in the swedish turist organisation STF. Buy your membership card here and get a discount! 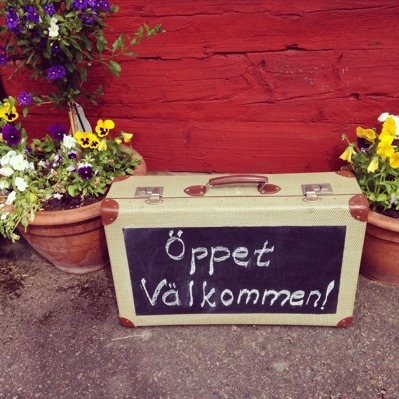 Here at the Långasjö Hostel we want our guests to feel welcome. We want to show we care and make you feel a little "at home". We also want to help to show the cultural heritage in the area as well as show off rural areas to our guests. We work for sustainable natural and cultural tourism. You can rent bikes at the reception we have new, 3-speed bikes, for a small fee. Or you can borrow our older "kronan" bicycles free of charge while staying at the hostel. Here you can also buy a fishing license and hire a rowing boat.